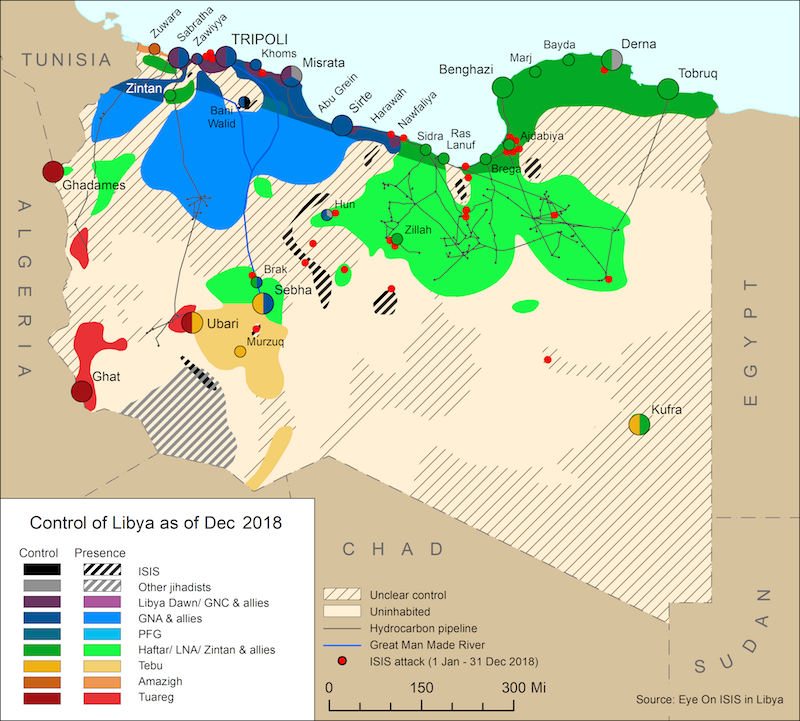 On 18 September, Government of National Accord Interior Minister, Abdussalam Ashour, confirmed that hostilities between militia groups had re-emerged south of Tripoli. Clashes were reported on Tripoli’s Airport Road (Tariq Al-Matar) between the Samoud Brigade led by Salah Badi and Abd al-Ghani al-Kikli’s ‘Ghaniwa’ forces from Abu Salim. On 17 September, the Presidency Council and Government of National Accord’s (GNA) Ministry of Interior stated that the security of Tripoli’s Mitigia airport had been handed over to the Central Security Forces. The Central Security Forces (CSF) is a regular police force that is a part of the GNA/PC Ministry of Interior. The airport had been under the control of the Special Deterrent Force (Rada) led by Abelrauf Kara. On 16 September the head of the Government of National Accord (GNA) Faye al-Serraj issued an order for the establishment of a committee to investigate the conditions of prisoners and the sentences of those being held at Mitiga airport prison. The order stated that those who had been held in captivity for time periods exceed those allowed by law must be released, but excludes detainees accused of terrorism, murder, trafficking, and armed robbery. On 15 September, a large tribal meeting was held in Tarhuna that was attended by a number of tribes from the western, eastern, and southern regions. A three-day ultimatum was announced following the meeting that amongst its many demands required the Government of National Accord to dissolve all of militias in Tripoli and arrest of their leaders. 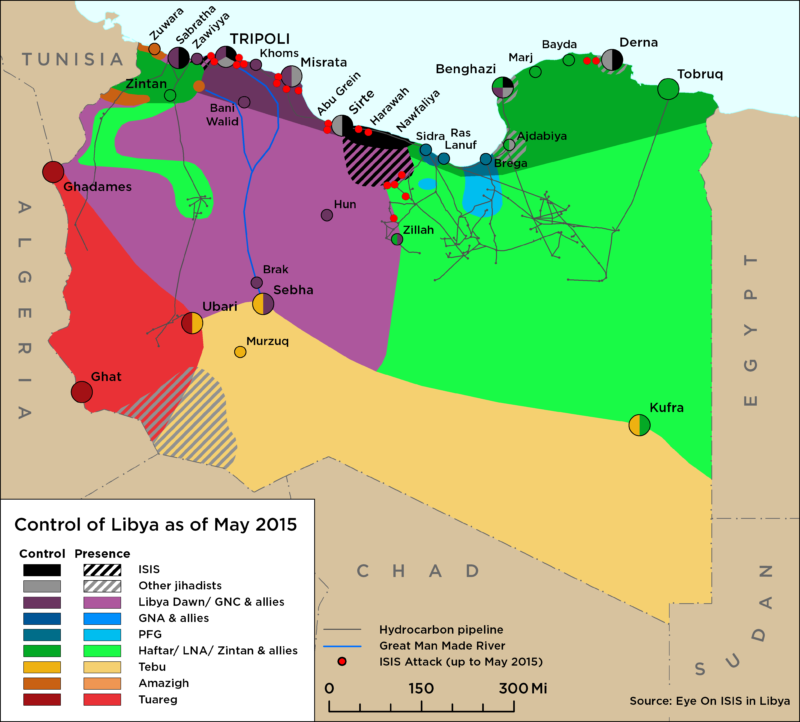 On 16 September, the GNA issued a decree ordering the formation of a joint force under the leadership of the commander of the western military zone Brigadier General Osama al-Juwaili to resolve the conflict in Tripoli. The force’s role will be to reinstate security in the Tripoli, oversee the ceasefire, and mediate with the conflicting militia groups through a committee that at this time is yet to be formed. The force is the be made up of three infantry brigades from the Western and Central region as well as the counter-terrorism force, along with an Interior Ministry unit. The leaders of the brigades of the joint force according to the GNA “should be military officials”. The force will be acting under the orders of the Commander in Chief (Juwaili) and be deployed only to special delineated areas. Juwaili will be given the power to specify the location where conflicting armed groups can reposition themselves and can coordinate with UNSMIL on this matter.